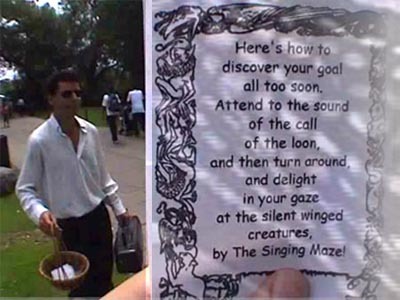 Commissioned by Sound Travels in 2003, the Singing Maze is a “sonic treasure hunt” that took place on Toronto’s Centre Island. It is a whimsical fairy tale in which riddles are offered at various sites across the island. 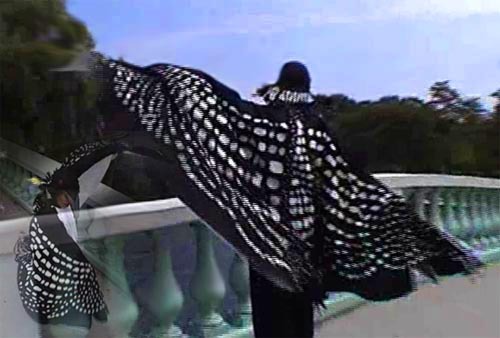 The story of a girl who metamorphosed into a bird unfolds, as the riddles point to fantastical sights and sounds of birds, musicians playing and singing. Using low watt radio devices to create sonic illusions, participants are gradually led into a shrubbery maze where mysterious voices colour their path. The riddles refer to different birds that actually frequent Toronto’s islands; the pigeon, swan and loon. The solution to each riddle can be found by an electroacoustic soundtrack made from the sounds of each bird, played on a cd player or radio. The music is playful and somewhat irreverant, since the idea of “purely natural sounds” in this environment so close to our nation’s largest city is unrealistic. 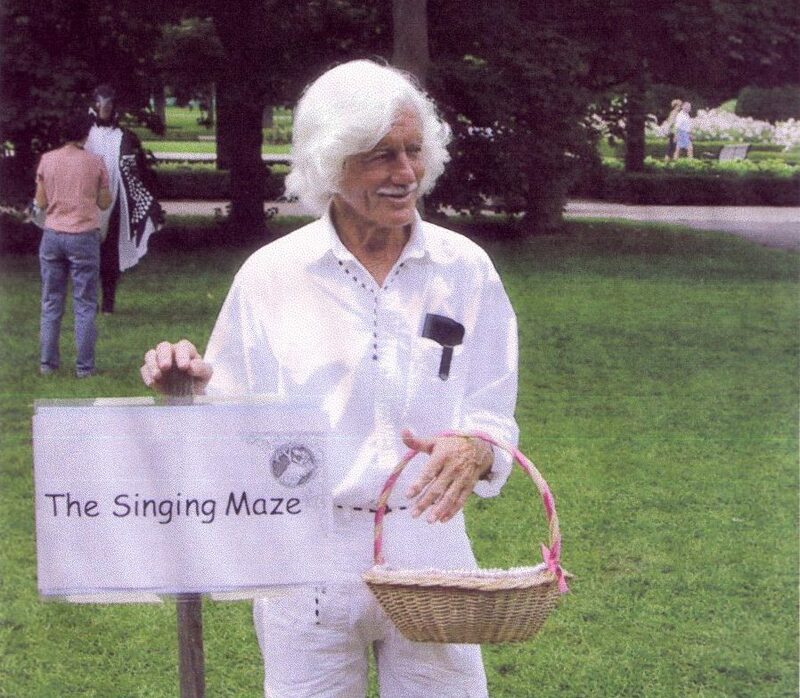 The Singing Maze is based loosely on the idea of “soundwalk,” as in the practice of acoustic ecology. However, in this case, participants and children of all ages are encouraged to find the solution to the riddle through acute listening. This piece was created as a response to the gruesome murder of a young girl in Toronto in 2003, creating pandemic fear for childrens’ safety. The Singing Maze is intended to give a secure context in which to wander, hide and discover. All of the riddles in the Singing Maze were composed while in residency at the Gibraltar Point Arts Centre on Toronto Island. The bird references are because of their actual presence on the island. 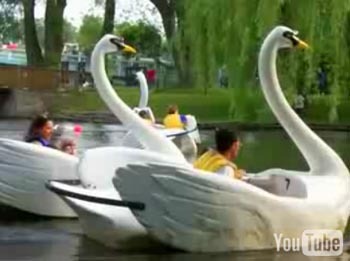 The swan ride at Centre Island is a familiar site to all locals. The accompanying soundtrack reflects the comic nature of this particular “wildlife” siting with a jazzy trumpet riff. 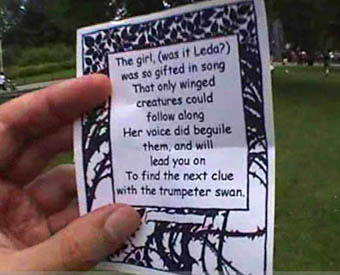 The next riddle was meant to be with a performer in a swan boat, but although an agreement was made prior to event, the manager refused to allow participation in the event. From the top of the bridge in Centre Island, just next to the fountain is a square of lawn with 16 trees placed symmetrically. Despite their formal order, they hold a promise of the wild. Faeries (island locals) could be seen running, hiding and running again in a seemingly silent dance, just in front of … the Singing Maze. At the center of the maze is the tallest tree. In that tree, a low watt radio transmitter was placed, transmitting on the FM dial out to any radio tuned to that frequency. There I am, singing into a microphone which is plugged into the transmitter. I’m a radio pirate!! I’m singing like a bird and dropping feathers down to all who make it to the center of the Singing Maze. The hedge is a wondrously mysterious space, where hidden radios are playing the sounds of the mythical girl-bird, calling participants to go this way and that way. 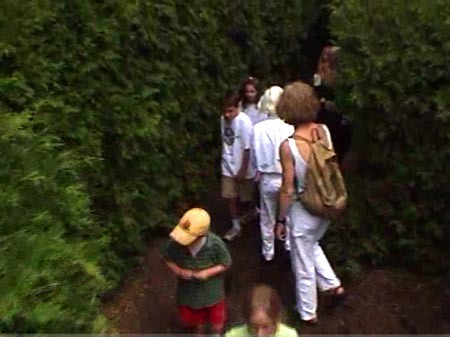 This piece was created as a response to the gruesome murder of a young girl in Toronto in 2003, causing pandemic fear for child safety in that area.The Singing Maze is intended to give a secure context in which to wander, hide and discover. Performers were members of the Toronto music community, locals from the Island or friends. As always, audience members are gradually coerced into participating. Ideally, the listening continues on long after the piece.